aGupieWare: Hackseat Driver: Will Autonomous Cars Be Too Susceptible To E-Intruders? Hackseat Driver: Will Autonomous Cars Be Too Susceptible To E-Intruders? Hackers love taking on the challenge of manipulating technology that is supposed to be beyond any outsider's control. This can cause havoc on computers, phones, and other devices...but what happens when a hacker targets a self-driving car? Could hackers take you and your car for a joyride? According to msn.com, the threat of cyberattack against self-driving cars is a serious issue - one that manufacturers as well as insurers are now scrutinizing. 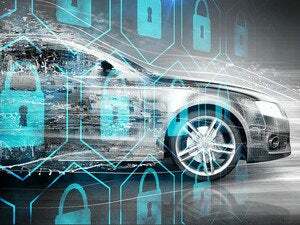 With expectations for such vehicles to hit the road by 2020, it is time to start seriously assessing the damage a hacker could do, should they gain control of a self-driving vehicle's numerous ranging instruments. These cars will be propelled in part by information gleaned from onboard cameras, sonar, radar, and LiDAR (light detection and ranging), all of which could be made vulnerable to hackers. Electronic elements of an autonomous car, all of which could be hackable targets. "One attack scenario forces the car to accelerate, rather than brake, even though the obstacle avoidance system (using LiDAR) detects an object in front of the car. Rather than slowing down, the car hits the object ... at high speed, causing damage to the car and potential threat to the life and safety of the passengers in the car under attack and in the car being struck," according to a report by Mission Secure Inc., a US-based security firm. Google's cars have already rolled out, but can they be infiltrated from afar? Countermeasures to car-hackers are being assessed by various security firms, and Google is rumored to have a team of its top engineers attempting to remotely control cars. Google's own self-driving cars have been autonomously cruising in California since last month. In the future, stealing cars won't involve smashing windows or using jimmy tools. The thieves may not even need to be nearby the scene of the crime. With new innovations come new issues...but let's hope that these hackers can be overridden if needed by some good old fashioned human steering behind the wheel. by remembering your driving skills! This is even more important when it comes to the home. No security system or camera will keep you or your family safe if someone decides they want to hurt them. Sure, they may help the police catch them later, but what good is that if a family member has been harmed? Items in the home, though physically replaceable, often have some sort of emotional significance as well. If someone breaks into the home and steals an expensive family heirloom or some antique jewelry, odds are pretty good that the items will never be recovered even if the thief is caught. If the items in your home are important to you in any way, high security locks should be mandatory. Cool, I would like to ride on this car! It's curios, do lockouts happen in such cars? And what to do in this case? My salvation is the Locksmith NJ http://locksmithnjlocksmith.com/ for today, cause I often have problems with my locks or the ignition switch. Lockouts can happen to any car , so don't afraid of it and go for the ride. If somehow any situation arises where you face lockout then call the Locksmith, they will let you out from that trouble. Thanks for the suggestion i will surely take help from locksmith when come in need with it.. Yes it can happen anytime , anywhere so you must be aware of it. Take the number of 24 hour locksmith near in advance so that during emergency you won't have to suffer much. I will surely read your article on Locksmith when you write it.Thanks. For me the best home security locksmith company is locksmith weston. Experts from their team are always there for lock issues and reach the spot instantly for their client's help. These models were mostly used as a toy for children who used to come with their parents to the automobile shop to buy cars. Our company provide rent a car for model of Maruti Alto car, Honda city car, All large size cars, and small size cars and etc available for car hire rental service. They are customer choose any size cars to self driving car in Chennai and local all area. To prevent those cars from being hacked , you must have installed the alarm system and tracking device in your car by hiring a locksmith. Through those device if someone takes your car away in your absence you can track it through that tracking device and get your car back. Is it reliable or not? Locksmith Irving TX will provide you with expert service, quick response, fair prices and quality materials. Locksmith issues can occur at any time, day or night, and their quick 24/7 service will assure you the most reliable and quickest response time, the most reasonable fees and peace of mind. When you’re on the wrong side of a locked door—whether it’s your own home or a business location—your first and best solution is to get on the phone with an emergency locksmith in altona. Alpharetta Locksmith offers emergency car key replacement and installation. They give high quality security systems in houses, garages and everywhere you want to keep valuables safe.When you lose your keys late at night, early in the morning or on the weekend,call the expert locksmiths. Thanks for sharing the post with us. If you are looking for your car serviced then, visit Eurobahnm where you can get the Land Rover Greensboro NC serviced at the reasonable price.